When I was 20, a random guy on campus asked me to go to dinner with him. 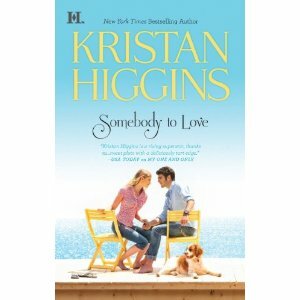 Being a suspicious girl living in LA, I told him I’d pick him up—why give a potential serial killer your address, right? On our first date, I found out he had a son. I won’t lie—it was a little surprising, since he was 23 and had sole custody of his six-year-old boy. But I admired him for being a devoted dad. On our second date, I found out he also had a daughter. She lived in a different state with her mom. Although I was a little nervous about what I would discover on a third date, I really liked him, so we went out again. Clear a couple of days in your schedule because Any Man of Mine is unputdownable. The week Autumn went to Las Vegas – determined to start having a life of her own again after taking care of her mother through a terminal illness – she ended up married, pregnant and abandoned. That’s apparently what happens when you let yourself be seduced by a professional hockey player. Nearly six years later, Autumn and her ex-husband Sam LeClaire run into each other at a wedding. Since Autumn’s the wedding planner, she has to be nice to him, even though he’s regularly disappointed their five-year-old son by changing his plans at the last minute. Sam’s a busy man who enjoys all the perks that come with being a professional athlete. He barely remembers the weekend he spent so drunk he ended up married and a father, but he’s always regretted the way he left Autumn. When she finally gets fed up with him letting their son down and tells him little Conner cries himself to sleep, Sam realizes he needs to man up and become a better father. That means spending more time around Autumn, who justifiably hates him. 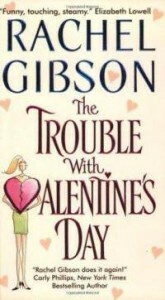 Rachel Gibson is one of my favorite contemporary romance writers. I’ve read nearly all of her books, and the thing that keeps me coming back for more is the emotional intensity of the relationships between her heroes and heroines. Her men are always masculine and tend to start off selfish and egotistical—in other words, they have a lot of room to grow. Her women are strong, sassy and independent, but have usually been severely let down in the romance department.